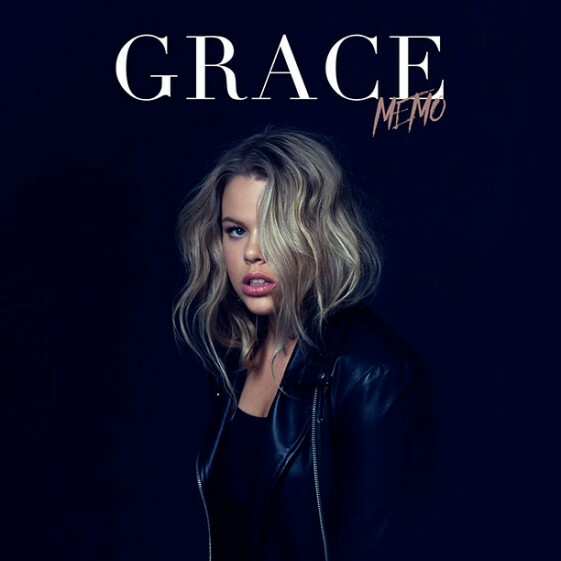 Australian vocal powerhouse, GRACE has released her debut EP, MEMO– TODAY via Regime Music Societe/RCA Records. The EP was executive produced by Efe Ogbeni (Enrique Iglesias, Akon, Red One). MEMO is filled with original songs that highlight her influences, which range from Gladys Knight to Amy Winehouse. GRACE co-wrote all of the EP’s five songs, including the title track song when she was only 16 and recording it on her iPhone. Buy/Stream MEMO now: iTunes Spotify Amazon Google Play. GRACE’s first single off of her debut EP is a cover of Lesley Gore’s 1963 anthem “You Don’t Own Me,” featuring new verses rapped by G-Eazy and was produced by its original producer, the legendary Quincy Jones and also Parker Ighile (Nicki Minaj), who produced the majority of the songs on the EP. The track just crossed over 4 million streams online and is currently #1 on the charts in Australia. PRESS HERE to listen now. The title track of her album “Memo (Boyfriend Jeans),” also recently premiered on EW.com. PRESS HERE to listen to the track! Eighteen-year-old GRACE is one of the hottest pop-soul prospects this year. Hailing from Brisbane, Australia with UK roots, GRACE grew up where the sounds of Smokey Robinson to Janis Joplin, and Shirley Bassey to Amy Winehouse, filled her home and fueled her soul. With a strong musical heritage (her grandparents toured with the Gibb brothers), GRACE has developed a raw, throaty, soulful sound whose emotional timbre belies her tender years. It’s easy to understand how that style was developed when she name-checks her biggest influences as Shirley Bassey, Minnie Riperton, Lauryn Hill, Amy Winehouse, Janis Joplin and Michael Jackson just to name a few. Breakthrough Singer-Songwriter GRACE’s Debut Album ‘FMA’ Out Now! Grace – Debut Album To Be Released On July 1st! New Single And Video “Hell Of A Girl” Available Now!